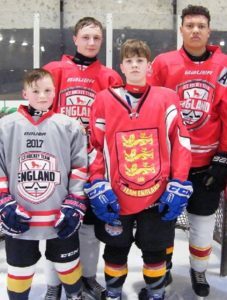 Six players from Bradford Bulldogs have been chosen to represent England. Two under-15 boys, Michael Colbourne and Dylan Harcourt, are joined in the club’s international representation by boys Gregor Mills (under-13s) and Logan Jean Jacques (under-14s) and girls Courtney Smith (under-14s) and Ishbel Wright (under-17s). The teams will visit the Slovakian capital of Bratislava in April, while a further 18 players have been picked for National Conference teams, four of whom have also been selected for Great Britain. They are Jordan Griffin, Alex Graham and Harrison Walker (under-16s), Jordan Griffin and Kieran Brown (under-18s), and Kieran Brown (under-20s). 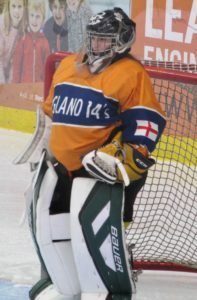 Special Hockey International (SHI) is an annual tournament played between teams from Canada, the USA and Europe. It is, as the name suggests, a tournament with a difference as all teams consist of adults and children with Autism, or learning difficulties. It is a vibrant tournament which moves between the host nations. In March 2017, SHI will take place in Peterborough, Ontario, and will include teams from the UK. 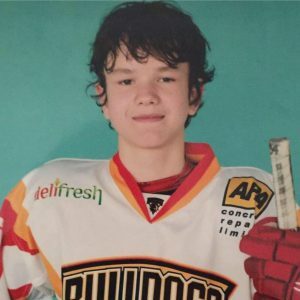 Bulldogs player, Harry Clegg, has been invited to take part in SHI2017 as a member of the Special People on Ice (SPICE) Jets, Team ‘A’. SPICE will be sending 2 teams this year, with team ‘A’ being made up of U20, U18 and U15 players from around the country. Harry visited Slough earlier in the year, to take part in trials alongside potential teammates, in sessions with players from Slough, Basingstoke, and Oxford, amongst others. There are several training sessions between now and March, and Harry is looking forward to the challenge. Despite Slough’s rink being closed for refurbishment, the Jets are eagerly awaiting the opening of a temporary facility, which will allow the teams to continue training before they leave for Canada. Although the tournament schedule is still to be finalised, Harry will be facing teams from across Europe, the USA and Canada with players ranging in age from 20 -14. This is a big test for Harry, given the wide age group involved, but one which he is greatly looking forward to. Congratulation to Harrison Walker, Jordan Griffin, Tom McFadden and Alex Graham who have made the first cut for the England U13’s and Kieran Brown and Jacob Lutwyche for being selected to England U14’s squad. We wish them every success in making the final cut! 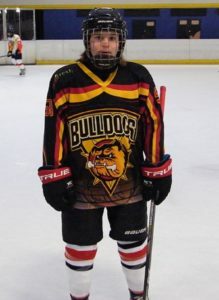 The Bradford Bulldogs junior ice hockey team have been celebrating after a record number of their players were selected to play for national teams. Nine have made the grade for England age group and the Great Britain under-16 ladies squad. The success is particularly impressive as the Bradford club have only about 50 registered players, giving testament to the standard of coaching and the ability of the youngsters involved. Those selected by England and GB are proud to have been rewarded for their hard work and dedication. England under-13: Kieran Brown and Jacob Lutwyche (both aged 12); under-14: Jack Haywood (13) and Kieran Brown (12), who has also been selected to play up a year, which is very rare; under-15: Ryan Kemp, Max Broadhurst, Lewis Baldwin and Adam Barnes (all 14); GB ladies under-16: Hannah Gibson and Abigail Culshaw.